This one is my Xmas gift. So I have moved on. My new love is 4.3" (hell it's almost a Blackberry playbook! ;) and boasts Gorilla Glass, an Amoled screen, a personalizable UI, social hub, voice commands. 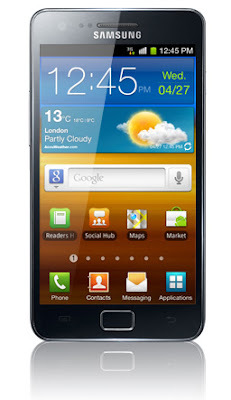 The Samsung Galaxy S II X. It's what's for Xmas.